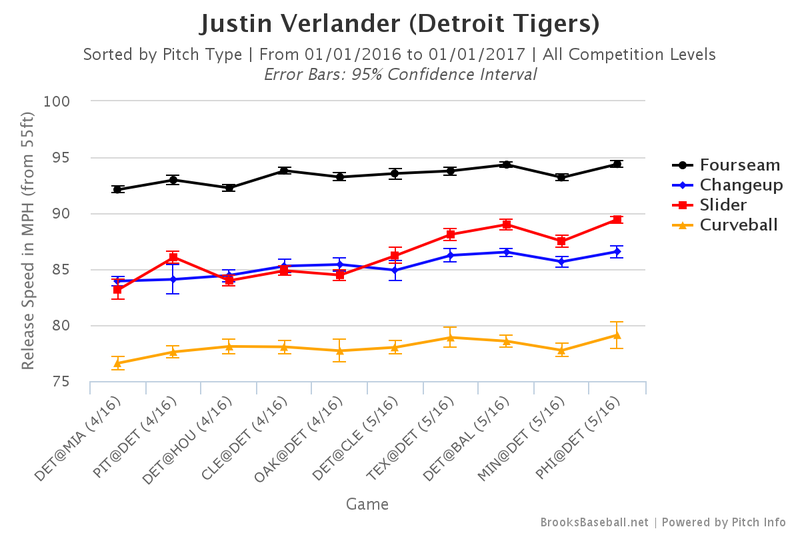 I’m certainly not the first person to notice this, nor is it much of a secret after his last outing, but Justin Verlander’s slider is slowly becoming Justin Verlander’s cutter. As a brief review, you would expect a cutter to be faster and flatter than a slider, which would typically have more depth to it. However, it’s important to remember that “slider” and “cutter” are just words we use to group pitches together based on how they behave. Everything is a continuum. There’s a clear correlation between velo and movement, which is exactly what we would expect if they were different pitches. 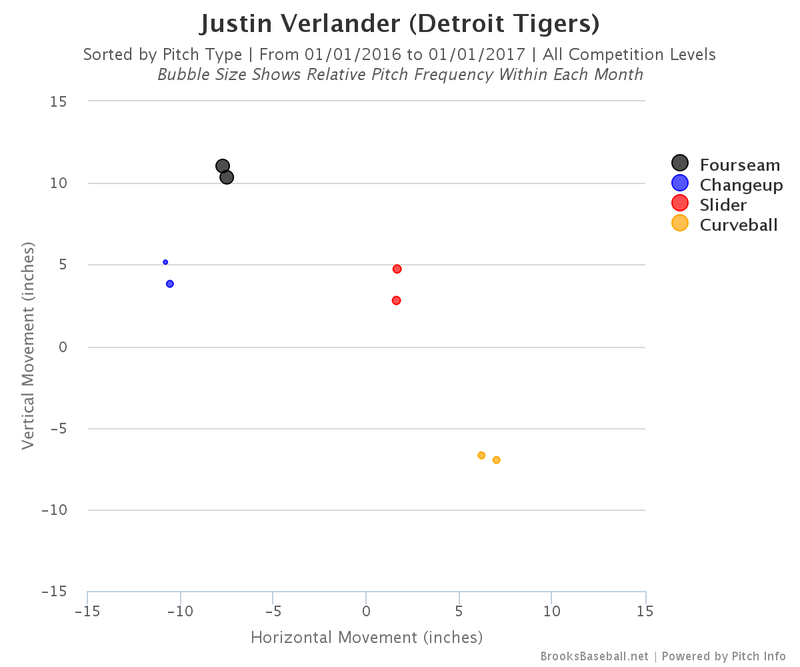 If Verlander happened to just be messing with velocity and movement independently, we would see a more random relationship here. 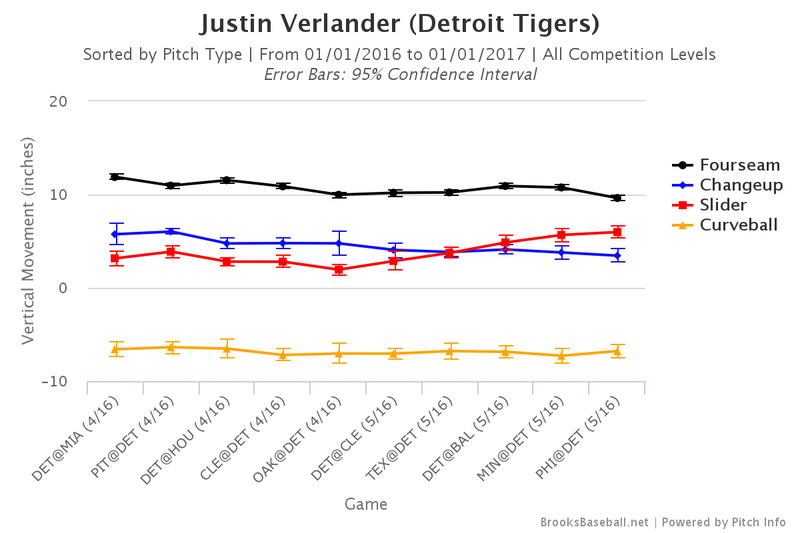 Verlander, instead, is throwing one version with more depth and less velo and one with more velo and less depth. In other words, a slider and a proto-cutter. 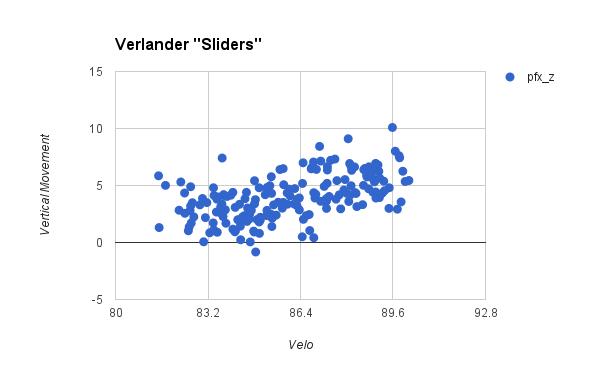 It’s not clear if Verlander is junking the slider in favor of the cutter or if he’s going to throw both. I looked at the relationship by date on a more granular level and the pitches I see as cutters are basically crowding out the sliders. He’s not really adding cutters to his mix, he’s using them instead of sliders. That could be strategic or it could be because he’s just found a way to throw the pitch in a way he likes better that has turned it into a cutter. It’s too early to say if this is a good choice or what the full implications will be, but he’s looked better since he started using the cutter over the slider. 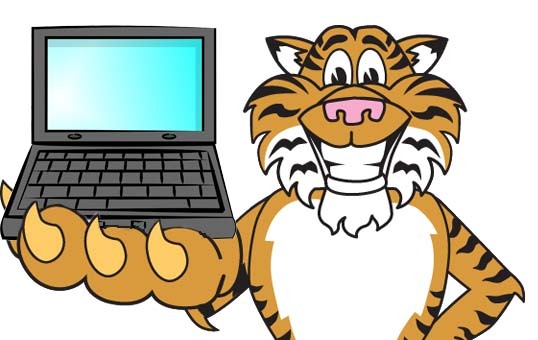 At the very least, it’s visually appealling to see him toss fastballs that break in opposite directions.